Endeavor supports high-impact entrepreneurs by connecting them with the tools and mentors that they need to build thriving companies and inspire countless role models. One such tool is Rydoo, an award-winning FinTech software that automates expense management to enable businesses to focus their time and resources on innovation and growth. In this short case study, we speak with Endeavor Brasil's CFO Cassiano Souza about the challenges and highlights of working in and with high-growth businesses, how to put processes in place early on to scale, and how Rydoo has helped them with this. Being a CFO at an ambitious high growth company while also dealing with a diverse client base of 70+ innovative startups, Cassiano recognises the tangible ROI behind freeing up his resources’ time. ‘Our old expense management process took 1 employee, 1 week per month before. With Rydoo, it now only takes around 2 hours a month. That translates into huge ROI, and allows us to focus on strategy and growth.’ Let's look at the bigger picture here If you pay your finance person in charge of expenses 35,000 EUR per year, and they spend 12 weeks a year on expense management, then that costs your company 8,077 EUR. Based on Endeavor’s analysis, with Rydoo it would only cost your company 474 EUR . So you save just over 7,603 EUR per employee in the finance department meaning a ROI of 1,605%. (ROI = Net Profit / Total Investment * 100.) So not only would your finance team have more time to allocate to more business-critical tasks, but you would also have extra capital to invest in innovation and growth. Endeavor’s team also particularly like how they can snap and digitise expense receipts even quicker with Rydoo’s innovative OCR technology: ‘What caught everyone’s attention is the software’s ability to recognise the receipts. It works 99.9% of the time and they love it. It has our budget structure. The cost structures are there. The approval works very well. The power of building a team of passionate, committed brand advocates for your company cannot be underestimated in the early days when long days and late nights are par for the course. Cassiano speaks of the ‘very strong performance culture’ at Endeavor, one that mirrors Rydoo’s own culture and that of the majority of startups and scaleup. We all really love what we do. We are all fighting together. But we are strong fighters. 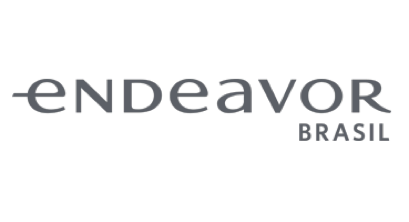 In an entrepreneurial world where high-growth companies compete to impact and influence new markets, smart businesses such as Endeavor recognise the need to automate processes in order to allocate time and resources where they are really needed. And technology such as Rydoo is at the core of this movement towards automation and innovation.